SRP Player will not run if you do not have a Roland driver on your computer. 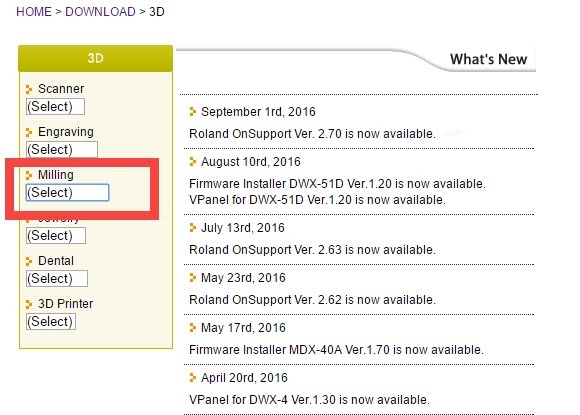 So you will have to install a driver. To check to see if you have a driver go to your Printers folders on your computer. There you should see a driver for the machine. 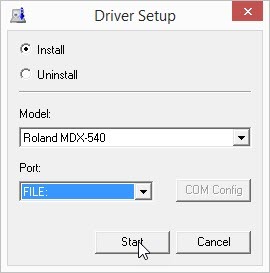 If you do not have a Roland print driver loaded on your computer then you will need to load a new driver. Choose Downloads, top middle of screen. Download correct driver based on your operating system, make sure to get 32 bit or 64 bit driver. Once you have downloaded the driver it will be in a compressed or zipped folder. You must extract the file before you can start the driver. This will create a second folder by the same name that is not compressed. When you run the application you will get the Driver Setup screen. ***This is important if you plan to immediately plug your machine into this computer then choose USB. If you do not plan to plug your machine into this computer then choose File. What happens is if you choose USB then the driver will not finish installing until you have plugged the machine into the computer. So SRP Player will still not be able to run. But if you choose File then it will finish the install of the driver. If later you do plug in the machine it will also load the machine driver to USB. If you are uncertain then choose File for now. You will choose Port:File if you are installing SRP Player onto your CAD computer but never plan to plug the machine into your computer. Press Start and follow all the prompts to finish the install. Now the driver should be installed on your computer, you can check your Printers folder to see if the machine printer driver is there. 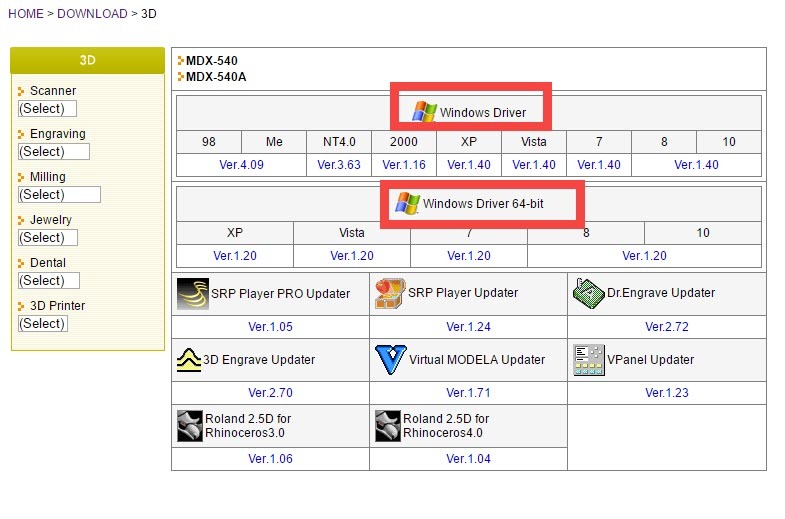 I would recommend that you now update SRP Player and other software as well which can be found on that same page.